So, a little more explanation of coppicing, for those who don’t know about it (those who do, please click somewhere else – now!). Essentially a collection of stems all growing from the same roots. When it’s derelict it contains: very big stuff – in our case up to about 7 inches diameter; living and dead sun shoots (these are rods which shoot up to the sun very quickly doh! ); rotten wood; birds’ nests; long thick straight poles; long bent wiggly poles and anything in between. 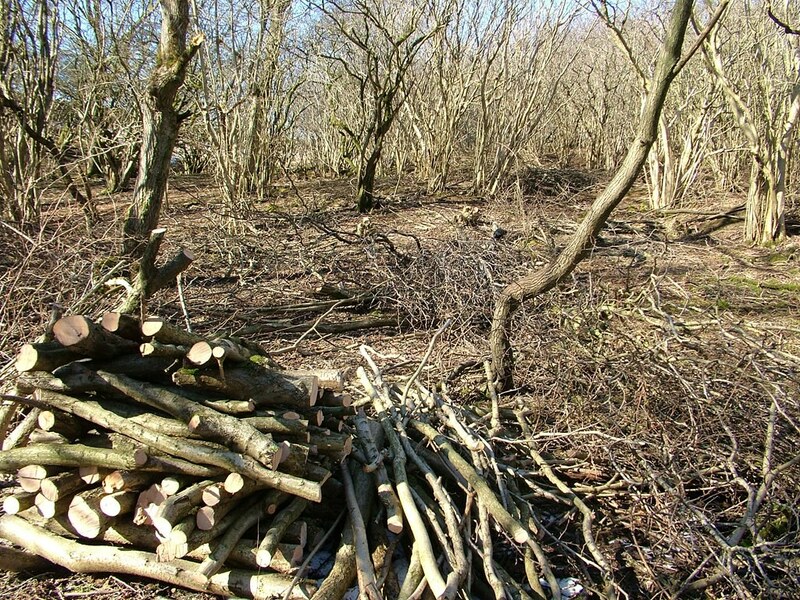 Usually coppice woodland contains some standards. 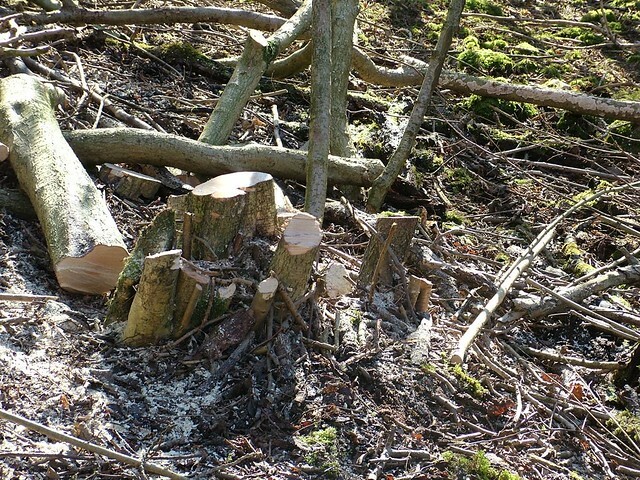 These are trees which will be harvested outside the coppicing 7 year cycle, that is they are left to mature into proper timber, maybe 50 years or more. “Our” woodland seems to be lacking in proper standards, and instead has self-seeded trees, mostly only fit for firewood. This is a hazel stool that has been cut. Notice how I’ve angled the trimming cuts to shed the rainwater away from the centre of the stool. It will now regenerate and hopefully grow lots and lots of straight rods, useful for a hundred things, including hurdles. The re-growth will be better after the second cut – in about 14 years’ time, hey that’s when I’ll be 73, well if I’m still going strong (why not?). I’m not sure how or when this coppice woodland was established, but someone, quite a while ago, planted a host of hazel over 2.5 hectares. It has been cut previously, and the stools are well established, but not ancient. The trouble is. Once the hazel is cut, and it starts to push up the re-growth in spindly stems. These are seen as ideal snack material for deer (mostly roe deer around here). So, it is a good idea to attempt to discourage the deer. We try to do this by heaping the brash (cut tops of the hazel) on top of the stools. The regrowth will come through, but hopefully the deer will be discouraged. A better way is to erect high fences to keep the deer out. The brash stack gets deeper and deeper and avoids burning anything, and ultimately ends up as dead hedging. This is a method of using the rubbish from cutting to form a hedge of dead material which has a temporary function (deer repulsion). It will later rot down and return to the soil. We are after getting several marketable products out of this: logs for fire wood: logs for charcoal; hedging posts; staves; sticks; weaving material; stuff for courses etc, etc. The piece looks a bit chaotic, but there is a method. This entry was posted in Green woodwork, Winter and tagged hazel coppice by Flying Shavings. Bookmark the permalink. Thanks for this post, Richard. It really helps me understand the process. Deer can jump 7-8 feet, given an adequate path to gather momentum. That’s a lot of brush! A friend of mine in Kentucky is getting involved with bio-char. Are you familiar with this? It’s rather tricky fencing out deer. There is not enough stuff to keep them out, although the deer around here are roe deer, about as bi as a goat, but they still jump pretty high. My idea is to makr it difficult to get at the re-growth and browse the new shoots just by piling up the brash onto the stools. I don’t make a lot of charcoal, but I do get the fines – which is the unmarketably small charcoal – which is used to make bio-char. I just add mine to the domestic compost bin and hope it’s doing some good. Like the spent brewer’s grains from my brewing, the wild red worms in the bins love it – I think I could sell the worms as a byproduct! Gotta love regenerative growth! Thanks, Richard. 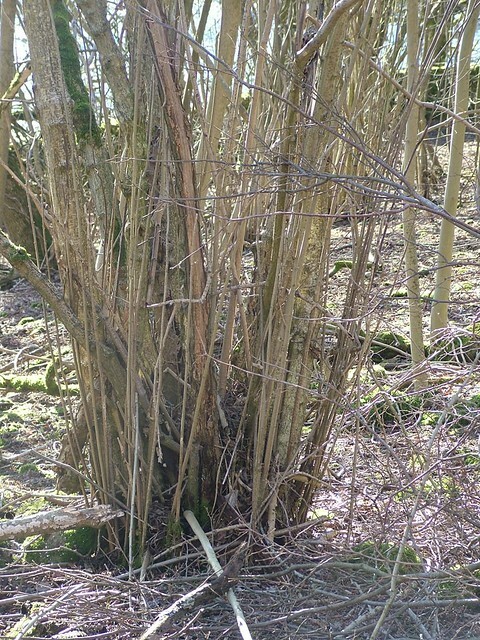 Is the hazel coppice (and coppice generally) harvested at a particular time of year? 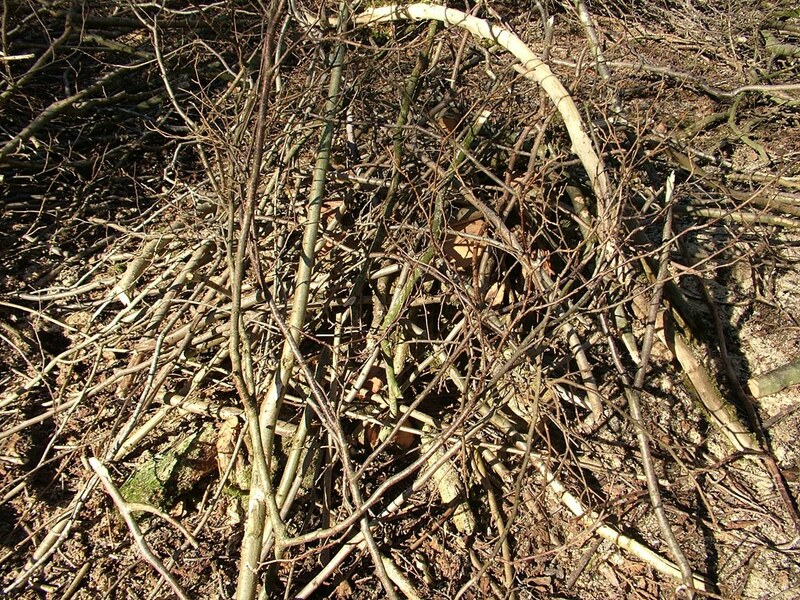 We tend to harvest hazel coppice in Wintertime when the trees and the flora are dormant. It’s also a time when there are less other things to do at work. Co-incidentally, it’s cooler in Winter as well, and cutting coppice is a warm job! Nice explanation.Don’t ever remember this sort of thing in Western Pennasylvania,USA.